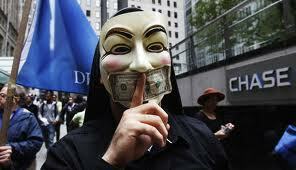 I hope the Occupy Wall Street (OWS) protests continue for a long time. The very existence of the OWS movement is a direct result of Liberal policies over the past 20 years and America needs to see this. We are at a crossroads in America and over the coming years we’ll have to decide whether we continue this failed Liberal experiment or move back to Conservative and Capitalistic policies. The OWS could not have come at a better time for people who are on the Conservative side but before I get to this main thesis, let’s take a look at what has made the news from the OWS protests. The Daily Mail took this photo of an occupier who defecated on a police car. My latest favorite is of this Columbia graduate student (with a trust fund) who goes on a rant about saving the country. Later, the same person sits down and tries to have an adult conversation but fails. The idiotic way they pass ‘laws’ prevents even the most trivial tasks from taking place such as taking 10 minutes to decide NOT to let a congressman speak . Then there is the example of the women who mistook the OWS protests for a Poison concert and bared their breasts in hopes of getting an invitation back stage with Brett Michaels. (Warning: The video is NSFW so click at your own risk….). Michelle Malkin does a very thorough job of outlining the costs to American taxpayers due to these temper tantrums going on across our country (increased overtime for Police and Cleanup workers) but I think that most of the OWS protesters aren’t there for an urban version of Woodstock and in many respects I feel sorry for them. 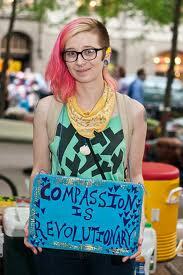 Where is the outpouring of support from the Democrats for the OWS movement? When the Tea Party rose to power, the demands consisted of a clear, coherent Fiscally Conservative message and those in Congress who resonated with that message loudly voiced their support. Even RINOs tried to garner Tea Party support but their true colors were already known and they were shouted down. In the next paragraph I’ll attempt to enumerate the OWS demands and once you read them it is obvious that Liberal Democrats resonate with these policies and they should rally behind them. Why are they absent? 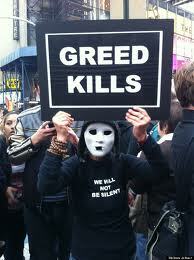 Could it be that they realize OWS is the results of their failed policies and they are ashamed? Do they now realize the chaos they created and in response to that epiphany they hide their heads in the sand? Unlike the Tea Party, the OWS protestors aren’t clear in their purpose and it appears that there are numerous demands and grievances that they have – Replace Capitalism with Socialism, punish rich CEO’s, eliminate evil banks, dissolve evil corporations, prosecute evil politicians, redistribute the Wealth, high unemployment, forgive student loans, eliminate fossil fuels, increase union membership, institute a single payer health care system, open our borders, give free college tuition and many others. It wasn’t until I read this Daily Beast article that I started to group all of these demands under one umbrella. The article talks about the ‘Clueless Generation’ which the author calls Baby Boomers and the key paragraph of the article is shown below (bold emphasis mine). What the Clueless Generation finds difficult to comprehend is that literally millions of highly educated and hardworking young Americans—people who followed all the rules and did everything we told them to do – are either severely underemployed or have no jobs of any kind. Meanwhile, they struggle with the massive educational debts they incurred after the baby boomers decided that access to the bargain-priced higher education from which we benefitted wasn’t so important after all. The Baby Boomers and to some extent the Generation X-ers (of which I am a member) have failed our youth. Now that we have allowed Liberal policies to take hold, our American Youth (Generation Y) have now reached adulthood and they have discovered that these policies didn’t deliver on their promises. We told our kids that competition was bad and there really are no losers. If you try your best, that is all that matters and don’t worry what others think. We stopped keeping score in little league baseball games and U6 soccer games. We changed the grading systems in school to allow more to reach ‘passing’ grades. Due to the successes of the Baby Boomers (who thrived because of Capitalism), Generation Y kids experienced very little hardships – they had video game consoles, cell phones, Satellite TV, iPods and every other luxury known to modern civilization. Don’t get me wrong, it is great that our nation was so wealthy that we could provide our children with these luxuries but when we provide these luxuries without describing the sacrifice required to not only produce these products but also to afford them then we do the children a disservice. We failed to teach them that profit is good and that motivates companies to innovate and consumers to purchase. When you get right down to it, the majority of OWS crowd are upset because things aren’t working out the way they thought. The parents of the OWS protestors told their kids that everything would be great no matter what decisions they made as long as they trusted their instincts and followed their heart. That is sound advice but unless it is tempered with real world economics, we poisoned this generation and failed to teach them the harsh truths of Capitalism. It’s great to get a degree in Anthropology but you must realize that starting salaries and demand for this profession are very low. If you really want to pursue this career then your expectations out of college need to be lowered. We’ve also seen an increase in Government entitlement policies and we’ve taught our kids that risky decisions don’t come with harsh consequences because the Government will take care of you. Can’t find a job? No problem, the Government will give you Unemployment Insurance until you find something that is perfect for you and awards you a six figure salary. You have a bad credit rating? Don’t worry, the Government will force banks to offer you low interest loans on a new house that is way outside your income level. Having trouble making ends meet while in college? No problem, you can get a credit card and use it to pay for your living expenses and pay it off later when you make big bucks from that English degree. Can’t afford tuition to an Ivy League school? Just take out a huge student loan and you can pay it off when you get the big bucks that comes with that Marketing degree. We have raised a whole generation of wimps and we are all responsible. Liberals are directly responsible for creating an entitlement state and subverting the innovation and wealth generation that Capitalism brings to the table. Conservatives are indirectly responsible because we were too afraid to speak against these policies for fear of being labeled ‘unfair’ or ‘closed minded’. We have failed to educate a whole generation of Americans on the benefits of Capitalism and now we have OWS demanding we abandon it. Little do the protestors know that the charmed childhood they enjoyed was a direct result of Capitalism and the problems they are now encountering are a direct result of Liberal policies designed to subvert Capitalism. Generally I agree with you. Personally I refuse blame. I have worked since I was 16yrs old. I was a working single mother at 19 yrs old. My son became self supporting at 18 yrs old ( he knew for years that unless he went to college, it would be that way). He now owns 2 businesses, when he could not find a job he made his own. I taught him that, growing up I started more then one business to survive. We are both Conservatives as is his wife. We all vote and are very active in the Tea Party and the GOP( change from the inside). I blame the Progressives in both parties and the weak RINO’s. I blame the lazy American citizens that did/do not hold politicians feet to the fire. I pray the giant truly has awakened and it is not too late. Pray for divine provenance as Washington did, we need it as much now as we did then. Well stated! Yes, i do think the giant has awoken and we’ll come out in November of 2012 to take back the Senate and the White House. It is not too late to save our country but if we fail in 2012, I fear then it will be too late. We’ll be in the grips of Euro-Socialism and will go the same route we see Greece and other countries travelling. What we need is fewer Liberal Arts & more trade school graduates. Left-wing philosophers are a dime a dozen but someone who can fix your air-conditioner is someone on whom you can rely. I’ve added you to my humble (but growing) blog roll. Thanks Bob. I just stumbled onto your site today (from a twitter link) and I’ve followed you on WordPress. Looking forward to reading more from you!